Texas Corrugators is a major fabricator and distributor for steel safety products used primarily on highways, parking lots, and site work. The products we fabricate and distribute include: corrugated steel pipe, metal beam guard fence, crash terminals, sign posts, safety pipe runners, drainage grates, bridge railing, handrail and special fabricated items. 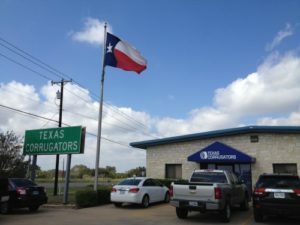 Texas Corrugators is located in Hutto, TX and has been servicing our customers for over 25 years.